Wonderful presentation at our meeting today by Terri Bowling, a compassionate clinician at the Highmark Caring Place in Lemoyne. 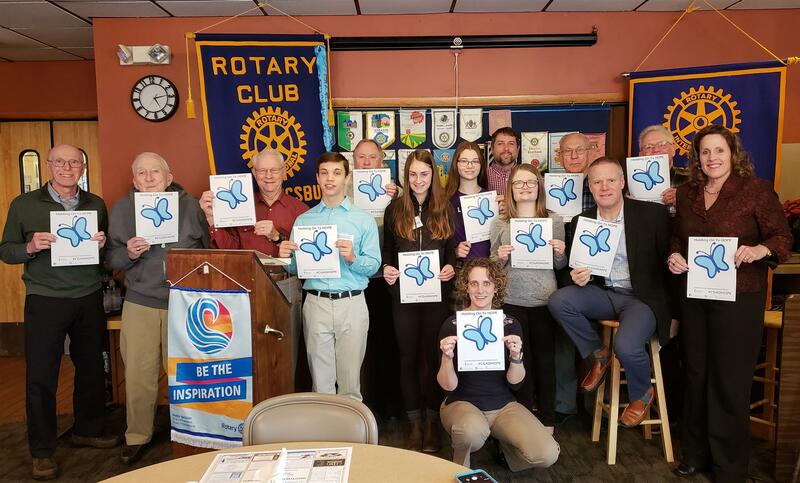 1/23/2019 - Rotarians and students pose with "Holding onto Hope" pictures. Wonderful presentation at our meeting today by Terri Bowling, a compassionate clinician at the Highmark Caring Place in Lemoyne. The Caring Place is an amazing community resource that offers support to grieving families (particularly children) who have lost a loved one (www.highmarkcaringplace.com). Our Club applauds all of the challenging work that they do in our community and throughout PA.